Check, money order, cash, MasterCard, Visa, Discover shall be the approved method of payment for EHA. 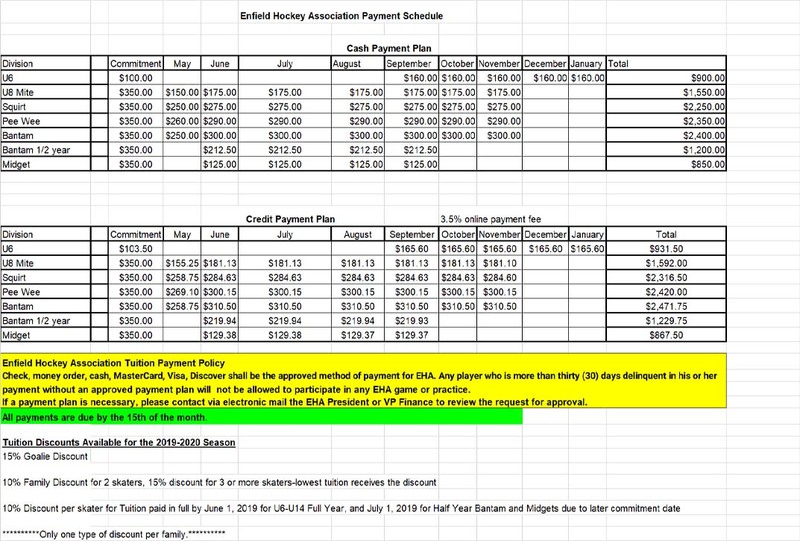 Any player who is more than thirty (30) days delinquent in his or her payment without an approved payment plan will not be allowed to participate in any EHA game or practice. If a payment plan is necessary, please contact via electronic mail the EHA President or VP Finance to review the request for approval.